Find out basic information about the ways you can open and own a cinema hall. Do a market research: Will your cinema hall be the first one in the place? Is there a healthy demand for movie viewing among the population in your place? If you will be competing with an existing one, see in what area you can improve the service or be different. If what your place has is an old movie house, you can build a trendier one. Or perhaps, you foresee that indie films, reruns and classic films will have an audience in your location. Find out how you can get films for showing. You have the options of becoming a franchisee or an independent exhibitor. If you work with the big names in the cinema, you’d have to apply to license the showing of their motion pictures. They usually dictate the terms. If you prefer to get indie films, you’d have more freedom to run the business, but you’ll have to do heavy marketing on your own. If you’re certain you have the market and source of movies to show, it is time to prepare your venue. You can buy or rent an existing cinema hall. Or, you can construct one. Either way, you’d have to deal with construction work. At the least, you’d have to refit an existing building. Understand that this is a large project. You’d have to deal with realtors and construction companies, spending a lot all the way. In whatever way you want to open this business, you’d need a lot of planning in order to put what needs to be done in order. To do this, you have to come up with a business plan that would be your guide in meeting project deadlines during construction, in executing your business strategy and in steering the business into what you intend it to become in the future. Most importantly, you’d need a cinema hall business plan when trying to get investors for the project. Are you wondering how movie theaters work in making money? If you are not familiar on how movie theaters make money then we will give you an idea of how they earn on this business. If you want to engage in the business of filmmaking, you should be ready to tackle several processes from filmmaking to distribution. 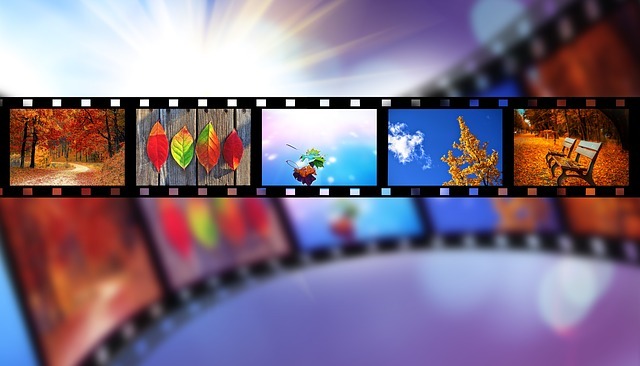 Find out from our guide the details of how to start a film production company. Firstly i should tell something about me, i am 28 yr. old living in a small town named KOTDWAR (Distt. Pauri Garhwal)which is situated in uttrakhand in india, I want to open my own cinema hall but i have no idea for whom i have to consult? but i want to start with in small scale near about 100 seaters. what it cost to me? From where i get all the required equipment to run the business? How it works? If i'm working with big banner what are the merits and demerits raised? pls. any Add or a person who is running his cinema hall in uttrakhand which can help me out, named them. Great pleasure if u have a solution of my problem. i want to open a cinema hall in jhunjhunu, rajasthan. Hi, I am sandeep want to open a small cinema hall in Aizawl. I have around 6000 sq.ft area. Can i plan a hall and what will be the expenditure. How will the movies come. Hi, I want to open my own cinema hall in small town in south africa. i dont know where to start. hi. I'm from a small city which located in Malaysia. I'm planned to start up a cinema business. But I wanna know the cost of equipment and everything. What's an ideal budget to start it up? What is the equipment that I should install for a 100 seats theater? how much to buy a movie? I would like to revive an old cinema hall which clossed down five years ago. the cinema is located in the center of johannesburg in south africa with a population of about 3.2million people. the area has lots of potential. whom should i contact? should i get hold of the previous owners first? where do i find out more about this cinema? I want to start a cinema hall in a small village in west bengal. Could you please guide me that how can I get the license and the equipment. Thanks & Regards, Prosun. Hi, i want to start a cinema in my town, calabar, nigeria, and i dont know what are the tools and equipment i would need to start up a cinema. it would be a hundred seater. I have a business plan which will require huge sum but it will increase job opportunities and attract people. Its opening a Standard Cinema in my country. Get back to me by email if you willing to know more. Sorry for saying this here. hi i am avtar singh i want to start my own cinema hall in delhi ncr region but i dont have any kind of knowledge how to start this business, from where i can get the license, equipment, movies..... Please help as soon as possible avtaar15@yahoo.com.9711131884. would like to start cenama in SA Midrand,, where can I start..
i want to start the cinema hall capacity of 250 seat. Can you guide me, I'm an south african, I would love to get contacts with companies that can help me. Where can i start?. i want to open small 200-150 sit cinema hall low budget. plz detail me how much money invest. how to contact. u suggest any franchise? I want to open a cinema hall of 200 seaters in jamshedpur for which i mainly need to about projectors rate. if u can help me this i will be really helpful to start my work. i want to open a 50 seater cinema in the Caribbean am not looking for a big project but roughly the cost of projector and licenses for the latest up and coming films. Hey, I have opened up a new 400 seater cinema hall in Sri Lanka, this is the 3rd in a the town. And can some one tell me a effective way of informing the people in town of the cinema and its location. thank you. My name is Anil Kumar Agarwal. I am interested in opening in a miniplex in BAREILLY, UTTAR PRADESH. Currently there is no mall or multiplex in my city. I hope will help me by sending the necessary details such as project cost and etc on my email id. i am interested to open cinema hall with the seating capacity of around 500 to 700.my native town is Villupuram which is located in Tamil Nadu. i want to know how much cost will require to start the project. hi, i am from a taluka place having population over 25000. i want to start a cinema theater of 200 seats. i own my land. what will be the other project cost. pls help me. mail me details for a digital cinema. i am from Raiganj a small city in the district of north dinajpur in west bengal want to run a cinema hall of around 300 seats. with all luxury available and with the help of satellite viewing. how to procure the license and whom to contact both for the license and for the satellite viewing? I'm from Bolangir, orissa.I want to open a cinema hall. I want to know the source to get the license, procedure of satellite system and the necessary equipments? please mail me. anyone wants to start cinema theater ( mini cinema with 70 to 80 seat ) business in tamilnadu can contact asr@m2cmedia.in. guideline and project available.. mini invt. good returns..
i want to open a 50 seater cinema in SA am not looking for a big project but roughly the cost of projector and licenses for the latest up and coming films. hi my name is gajraj from nathdwara(rajsthan). i am interested to open a 250 seat cinema hall in nathdwara. you told me process about this and total cost. please send me via mail. My name is Sian and I am currently working on to establish a cinema chain in Malaysia. I am looking for like-minded people or investors who can share talent, intel or capital with us. If any of you would like to venture into Malaysia's market with us, you can reach me at ccsian89@gmail.com. Thanks and have a great day! My cinema will be located in Phalaborwa town Limpopo SA and it will accommodate 120 seater, it will be the first one in town it is on high demand. please advise. hi, i want to open cinema in Kuala Lumpur,Malaysia. can you guide me and give an advise . regards, izuan. Hi,i am 23 years and want to open a cinema hall in a small town called Tzaneen in South Africa. Can u advise me on how to start and how much money might the theater demand. It is my dream to start a cinema business in my community back in my home country in the Caribbean.I am currently residing in Canada and would like to get as much info as I can on how to go about making my dream become a reality.My curiosity peaks on how to get the contracts with the production companies. Ps.I am looking to start off small with a capacity of at least 50.
tenali, andhrapradesh, india. Hi i'm 24 years old i want to start cinema hall in our city.But already we have 14 cinema halls . Now i want to start can any one plz tell me what is required what i do . any one plz guide me . how much mini cinema hall having capacityof 100-200 people with latest technology and interior will cost? hi, I'm planned to start up a cinema business. I want to open an 100-250 seater cinema hall at Itanagar, Arunachal Pradesh. kindly suggest how much land space & capital required to start the business and how to get franchise of any multiplex. please guide me on the same. sir, i want to open a new cinema hall in my city, so i just want the details about how it will cost for construction, equipments & other imp things. so kindly help me out for this or send me ur contact detail for getting me all information. Hi.. I am Shashi Kr. Jain. 49 years old. I want to start a cinema hall - 150/200 seater. As i think Big Banners may ask for big formalities and big share, pliz let me connected with an institute who may guide me for till the start n Run of my HALL. I have 35000 sqft. of land at High way, with a budget of 25 Lacs. Place - Jhumri Telaiya (Jharkhand)825409 Industrial/ mining/natural beauty place. town. Hi my name is Aritra, I want to Start a cinema hall - 150/200 seater. I just want the details about how it will cost for construction, what kindly of help you can provide ? what's the money plan as far as license permits. Thanks & Regards, Aritra Gupta.